As a feminine interpretation of the Calatrava Pilot Travel Time, which in 2015 was launched as a men’s wristwatch in a white-gold case with a blue dial, the Ref. 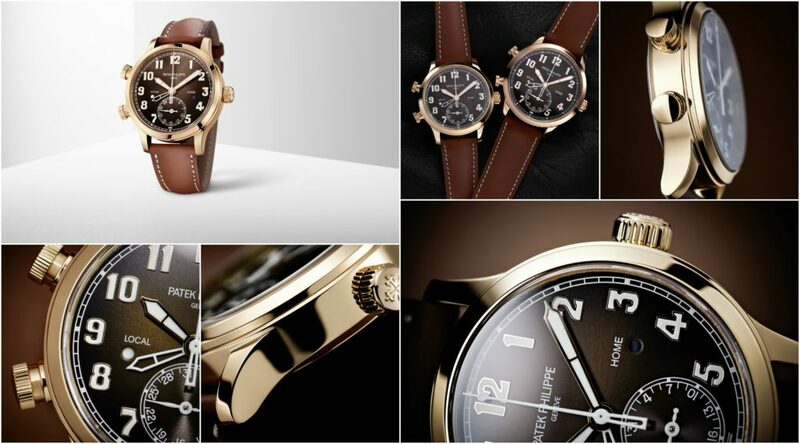 7234R-001 combines a rose-gold case with a brown dial and a subtle black gradation toward the periphery. With a second time zone and a local-time date, the Patek Philippe 7234 is also the first self-winding Travel Time model in Patek Philippe’s collection for women. 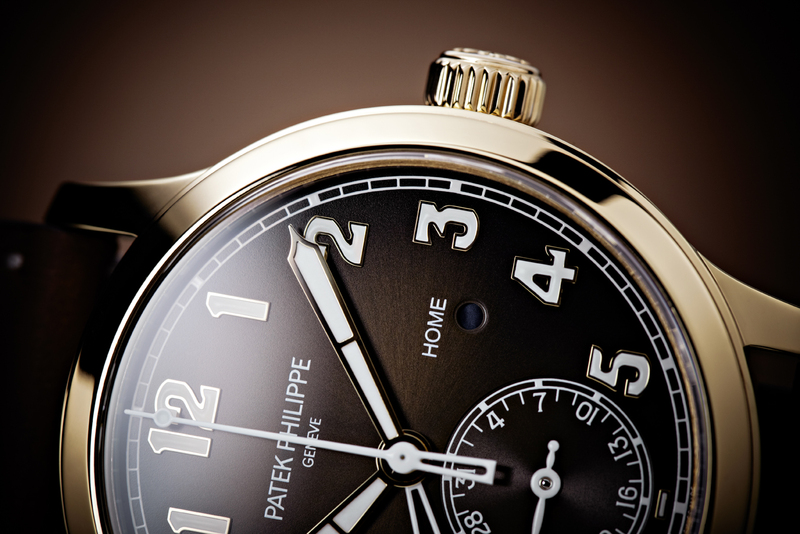 Reflecting Patek Philippe’s tradition in aviator’s watches, the dial is superbly legible. The Patek Philippe 7234 features applied, sculpted rose-gold numerals with a white luminous coating as well as broad luminous baton-style hands. The orange “1” of the analog date on the subsidiary dial at 6 o’clock is decidedly prominent. The self-winding caliber 324 S C FUS provides a very easily adjustable display of the second time zone. All it takes is the actuation of one of the two pushers in the left-hand case flank to move the luminous local-time hour hand clockwise (with the pusher at 8 o’clock) or counterclockwise (with the pusher at 10 o’clock) in one-hour increments without affecting the precise rate of the watch. a patented safety lock that prevents unintended adjustments of the local time setting. The new Ref. 7234R-001 Calatrava Pilot Travel Time comes with a vintage brown calfskin strap secured with a rose-gold clevis prong buckle. It is reminiscent of the harnesses that allowed pilots to keep their survival kits readily deployable. The watch is also available in a men’s version with the new Ref. 5524R-001.